Life on the water is super fun. So fun, in fact, that you tend to forgive that it’s also super-expensive. Even if you’re not thinking about the day-to-day costs like fuel and supplies, you’ve got to be aware of the cost of putting that boat away for the winter or keeping the electronics modern. If you’ve had your vessel for more than just a few years, you’ve already looked at upgrades to radar and GPS equipment, because that technology is evolving so fast that it’s worth it to upgrade. On the other hand, that satellite system you’re using is probably the same one you put up before the last financial crisis hit. Plain and simple, it’s time to upgrade it. And plain and simple, it’s not going to be cheap. I’d love to say there was an option here, I’d love to say that there was something inexpensive you could do, but if you want satellite TV on your boat, you’ve got to upgrade your dish sometime in the next two years. There’s just no getting around it. DIRECTV has already announced that they’re discontinuing standard-definition service in the next two years. As for DISH, they will no longer be making new receivers that use the old dome; all the new products will require the hybrid pro LNBs that are already needed for Hopper and Wally devices. When it comes to satellite TV, marine users are a very small part of the overall population. The biggest group of satellite TV users are the ones who watch at home, and so all this new hardware is designed to make it simpler for home users. DIRECTV is still supporting receivers that are over 13 years old, and DISH is supporting similarly aged hardware. Both companies want to cut down on support costs and free up satellite bandwidth for the next generation of services. So, after years of offering free upgrades, they’re finally just cutting off those people who stubbornly remain with older receivers. Unfortunately this can mean marine customers as well. 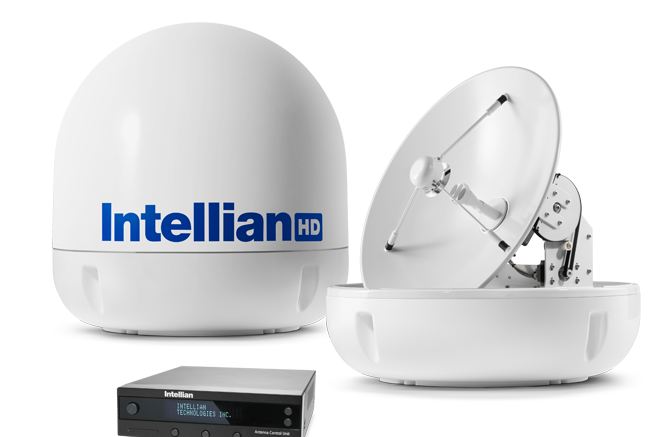 If you’re a DIRECTV customer, there are new dishes from KVH and Intellian which will future-proof you. There’s no 4K solution yet, but it’s expected you won’t need to worry about that for a few years and at that time it’s likely to be something you can do with your existing dome. As for DISH, there’s no hybrid LNB solution at all but you can still upgrade to Hopper 2 equipment which is just one step away from the latest and greatest. No matter what, you’re going to need to remove your old dome and potentially do some rewiring. Yes, this can be a daunting task on a boat, because space is at a premium. Truth be told, you should be looking at replacing cabling that’s over five years old in a marine setting anyway. This is just one way to force you into it. The new domes are actually a bit larger than the older ones, unfortunately, due to the need to see multiple satellites at the same time. You may want to look at where you have the dome mounted and see if there’s enough room. Generally this isn’t too much of a problem. There are still options available for you even after a dish upgrade. US satellite TV uses different technology from pretty much any other TV provider, even DIRECTV Latin America. So, you’ll need a dome that’s specifically designed to work with both systems. Of course you’ll also need satellite receivers for every country you visit and a programming plan for each one as well. In a case like this, I would also recommend replacing the multiswitches you’re using. Spaun multiswitches no longer work with DISH or DIRECTV’s current offerings but with the right dish you can feed them directly. You’ll want to upgrade your multiswitch now, because without the US market to feed it, Spaun’s product selection shrinks every year. Why not just cut the cord? If you’re looking at an expensive upgrade to your satellite hardware, this would seem like the perfect time to cut the cord and move to an antenna or streaming solution. Unfortunately, digital TV antennas don’t work if you’re going more than 15 miles per hour, and streaming is either expensive or impossible once you’re more than a few miles off shore. These solutions are great for land-based television but they don’t make a lot of sense for marine use. This may seem like an overwhelming task but luckily, you have professionals on your side. The folks at Signal Connect have done more marine installations than pretty much anyone else in the world. No matter where you are, no matter who put in your satellite equipment back in the 2000s, we can get you up to date. We have installers in all the major ports in the US, too, so we can be where you are. It all starts with a call to Signal Connect, the professional division of Solid Signal, at 866.726.4182. Our marine specialists have thousands of professional installation under their belts and you can benefit from all of their knowledge and experience. The simple fact is, the time has come for a satellite upgrade. It won’t be inexpensive, but with the help of Signal Connect, it will be easy.